A police sergeant attached to Ipakodo Police Division has been arrested after confessing to selling police arms and ammunition to suspected militants in Lagos. It was gathered that the suspect, identified as Sergeant Sunday Odu, attempted to shoot himself dead at the station, but was prevented by a team inspecting the armoury. A source told Punch that the sergeant had been detained and put in a cell at the State Criminal Investigation and Intelligence Department, Yaba, where the case was being investigated. 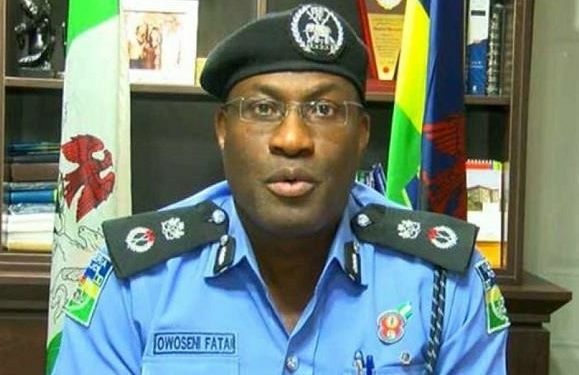 The source said that the incident happened on Thursday, saying Odu indicted another policeman, whom he claimed connived with him in selling the arms. “A police audit team, led by an assistant commissioner of police, went to the station on Thursday. It was a verification exercise to know the situation of arms and ammunition at the station. “They attempted to bribe the team, but they insisted on doing their job and going on with the inspection of the armoury. “During the audit, they discovered that they had sold many of the arms and ammunition. To be precise, about 162 arms had been sold. Immediately the situation was discovered, the armourer, a police sergeant, cocked his gun and wanted to kill himself. “But the team quickly seized the gun from him and handcuffed him. He has been taken to the SCIID. After much interrogation and beating, he confessed that he sold the arms and another policeman was involved,” said the source. Also, a source at the SCIID confirmed that the policeman was in custody, adding that the number of ammunition sold was large. It was gathered from a detective that the suspect confessed that he sold the bullets to militants, and that the police command was already looking into the case. He said the command was bothered about how militants were getting arms and ammunition and the spate of killings in the Ikorodu area. “It will not be right to continue to protect these bad cops that are spoiling the name of the police force and I do hope that, with this discovery, others doing such terrible things would stop,” another source said.